The Hamburger Helper rebate is back! 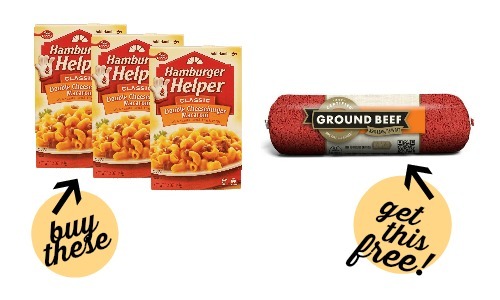 You can get FREE ground beef (up to $8.06) when you buy (3) boxes of Hamburger Helper! Use the item search to find current sales on Hamburger Helper and you’ll have a super cheap dinner (you can usually get them for less than $1 each). This coupon will likely not last very long, so print your copies while they’re available. Remember: You can get (2) prints per computer!